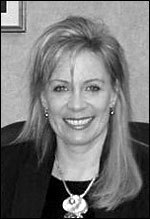 After graduating from William Mitchell College of Law, and clerking for the Honorable Charles A. Flinn, Jr., of the Minnesota State District Court, Patricia Comeford began working as a litigation associate with the St. Paul law firm of Maun and Simon. However, in 1989, Comeford decided she didn't want to build a career around courtroom battles. So she quit her job, and equipped with a computer and a telephone, opened the Esquire Group, a headhunter company for law firms and companies seeking attorneys and legal-support staff. Within two decades, Esquire Group grew to be the largest independent legal recruiter in the Minneapolis-St. Paul area. Lawyers say Comeford succeeded because she has a knack for understanding cultures and finding the talent to fit. The happy ending is that Special Counsel, one of the largest legal recruiters in the country, has announced that it is acquiring Esquire Group in order to establish a presence in the Minneapolis market. A Special Counsel executive called Esquire Group "a microcosm of what Special Counsel is all over the country." Comeford will remain on as a consultant for one year. The moral of the story, as we see it, is that it certainly takes nerve for an unhappy lawyer to face up to the fact that they need to change careers. Some never do. But for those who take the leap into a new field where they bring passion and special talents to the table, success is likely to come with time. It just takes perseverance and patience.